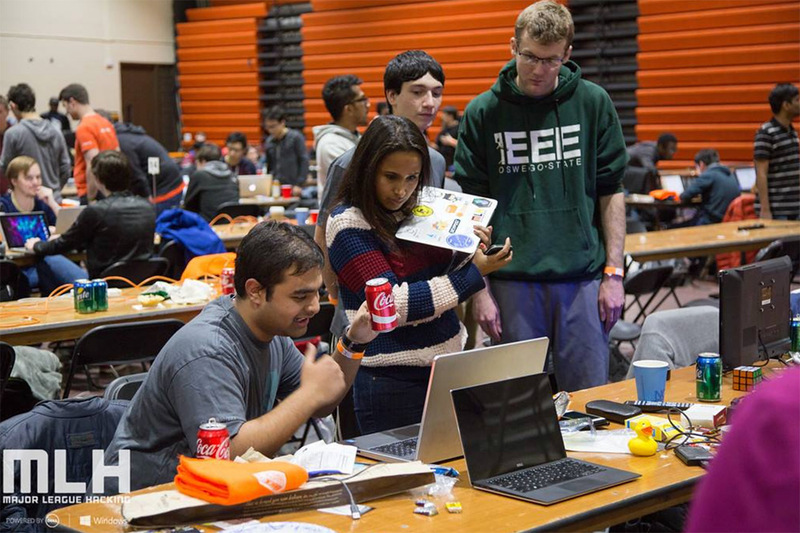 BrickHack, RIT’s premiere hackathon, is Feb. 16-17 in the Clark Gym. College students from across the continent are saving some brain power for the weekend of Feb. 16-17, where they will have 24 hours to create projects at RIT’s annual BrickHack event. This is the fifth year for RIT’s premier hackathon, where students can team up to develop anything from quirky games to apps that aim to solve world issues. About 600 coders and designers will come together to start projects from nothing and attempt to complete them in 24 hours. Students at BrickHack will also get to meet industry representatives and mentors from sponsor companies, who are there to lend expertise, share wisdom and recruit top talent. Some companies will also bring their technology for student-makers to use in their creations. The making begins at 12:30 p.m. Saturday and ends at 12:30 p.m. Sunday. Throughout the weekend, students can participate in tech talks with representatives from sponsor companies, including Datto, Wegmans and Google. There are also side activities—including ice skating, sunrise yoga and a video game session—along with free food, swag, coffee and all-you-can-print 3D printing. Sleeping is optional. Most Commercially Viable Product: RIT’s Simone Center will award the winning team $2,000 to advance their concept towards commercialization. This money may be spent on prototyping or customer discovery travel expenses. It may also be used as a stipend for a RIT team member seeking to work on this project as an entrepreneurial co-op. To qualify, the winning person or team must be affiliated with RIT. Registration is full for this year’s event. All college students were invited to the free event at RIT’s Clark Gym. Buses are being provided to students from colleges across the northeast U.S. and Ontario, Canada. BrickHack is a part of Major League Hacking and is run by RIT’s student hackathon club codeRIT. To learn more about BrickHack and for a schedule of events, go to https://brickhack.io.